Parasu Dental Centre, Anna Nagar, organized a Free Dental Health Screening Program on July 21st & 22nd 2016 for the children at the Ravindhra Bharathi Global School, Mogappair, Chennai. About 820 students and staff were screened. Dental health screening was provided for educating and to create awareness about dental problems, their treatments and methods of caries prevention among the children. 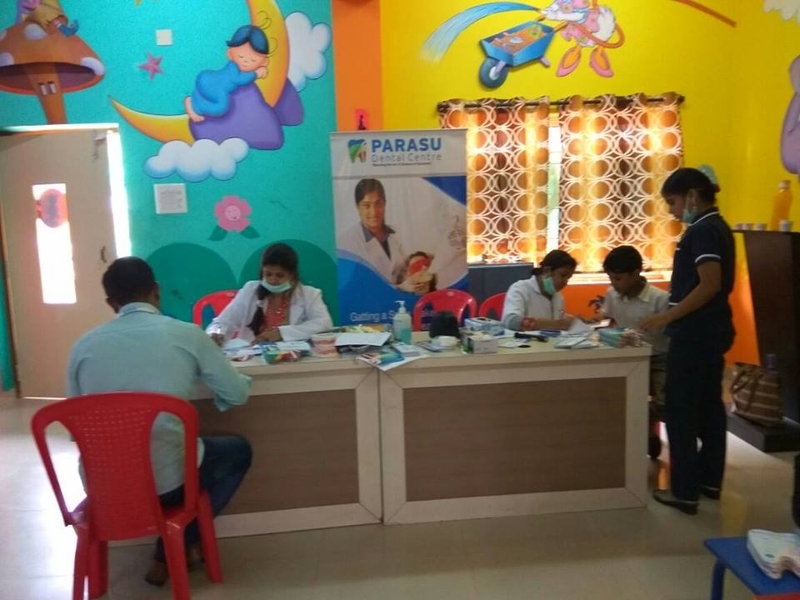 During the program a Complete Dental Check-up of individuals was done and a Dental Health Report card, detailing the Findings and Treatments advised was handed over to each individual child by our Parasu Dentist. Also information on proper techniques for Oral Hygiene maintenance was shared.